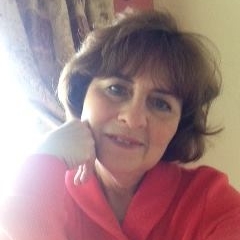 We visited so many cathedrals during our trip to the UK last year, and I was in my own personal glory viewing all the stained glass windows, each centuries old, and each depicting it's own creation story. 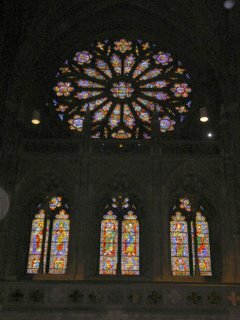 But one of my favorite stained glass windows is quite new, and right here in the US - the West Rose Window of Washington's National Cathedral. This contemporary masterpiece is also known as the "Creation" window. An abstract rendering of the beginnings of mankind, it was designed by artist Rowan LeCompte and installed above the west front portal of the Cathedral in 1976. Set ablaze by the rays of the sun, the window is an impressive 25 feet in diameter and contains over 10,500 pieces of clear and colored glass. Besides its beauty, there's another reason I love this window so much. Our guide told us that the artist was visiting the National Cathedral with his school when he was about 13 years old. During that visit, he became so entranced with the stained glass already in place, he decided then and there that creating art with glass was going to be his life's work. 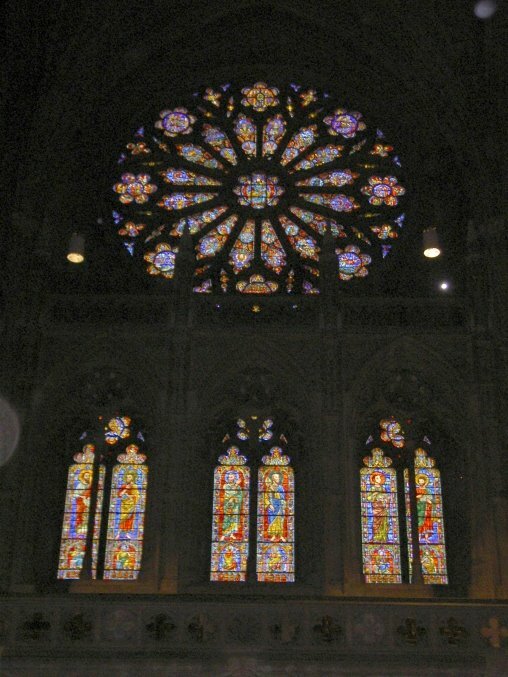 He began studying on his own, and had his first window installed in the National Cathedral just a few years later. Besides the fact that the artist and I share a common name (Rowan is my surname), the teacher in me is just delighted with this story!